2. Creativity – At the 4A’s forum, there was much discussion around the importance of creativity in the media conversation. 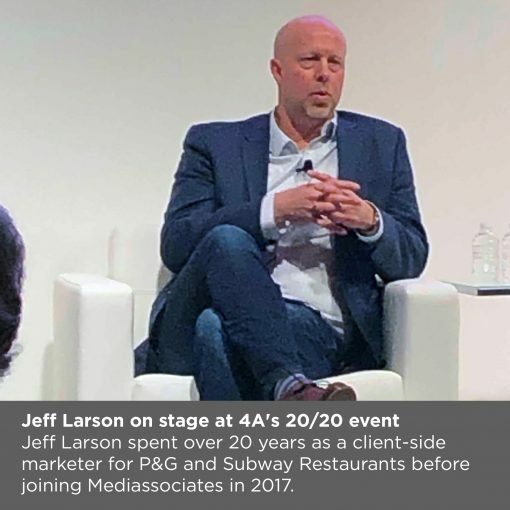 Larson observed that, “Working with high growth and challenger brands, there’s a greater appetite to test and expand new media approaches.” There’s often a greater tolerance to take risks and experiment; which requires a creative, test and learn approach. “Independent agencies are in this sweet spot with middle market brands looking for strong media planning and buying capabilities coupled with a more entrepreneurial spirit”, he added.